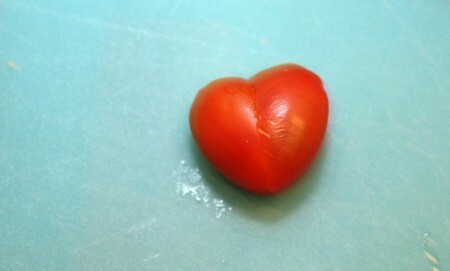 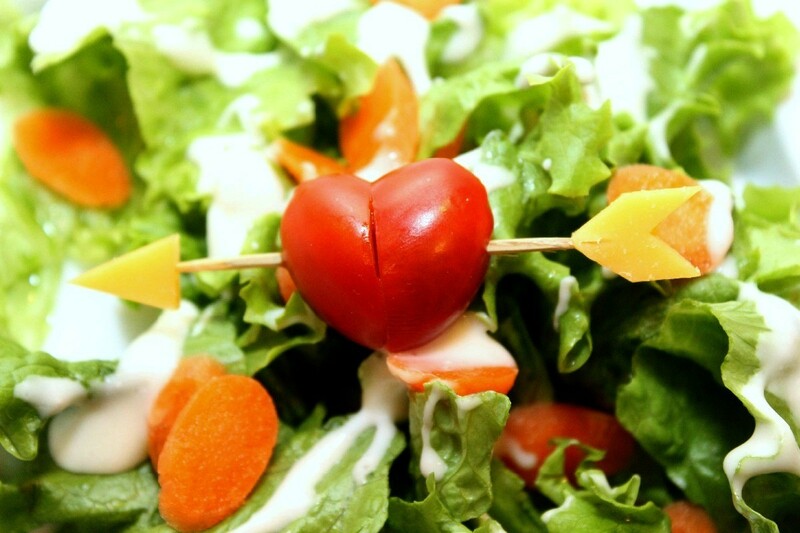 These little heart shaped tomatoes are easy to make and are the perfect finishing touch on a salad for your sweetheart! 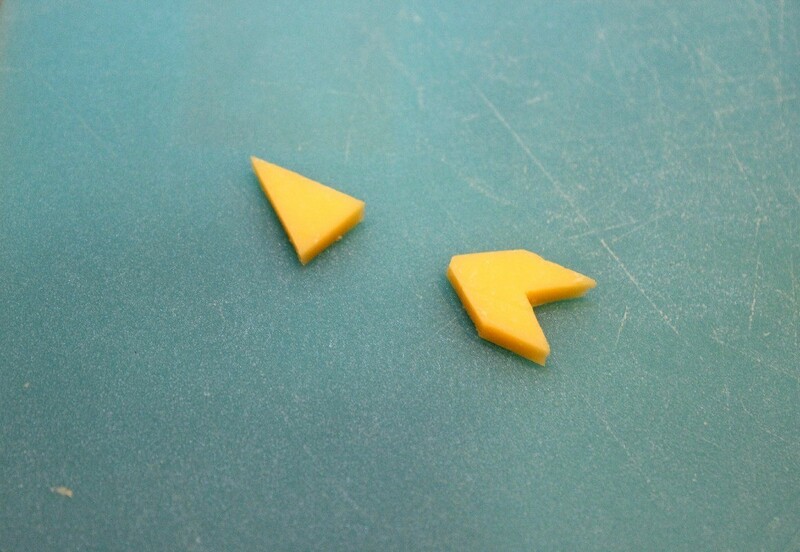 Using a knife, slice a piece of cheese and then cut out an arrow tip and end. 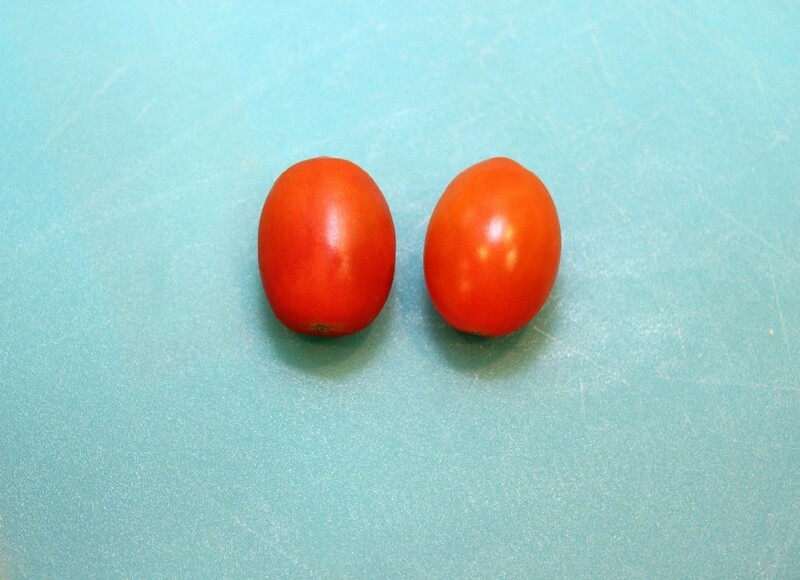 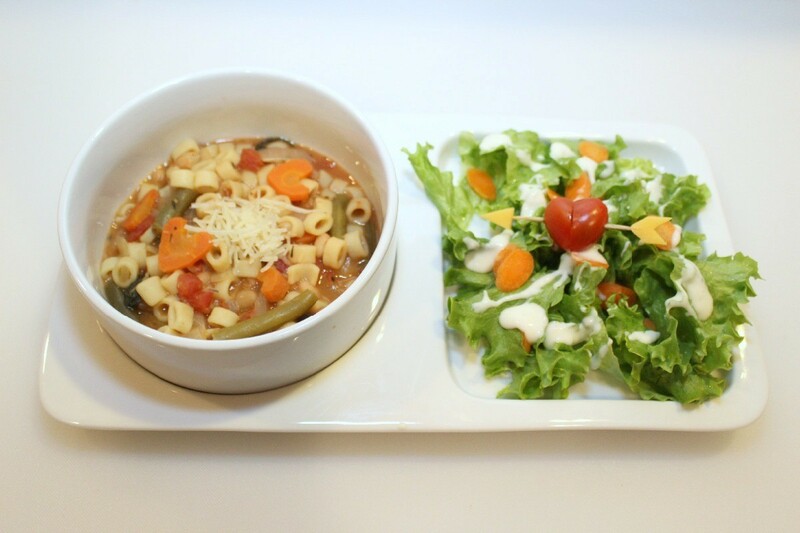 Find two grape tomatoes of equal size and shape. Slice the end off of each one, at a 45 degree angle. Poke a toothpick through both tomatoes, connecting them together and forming a heart. 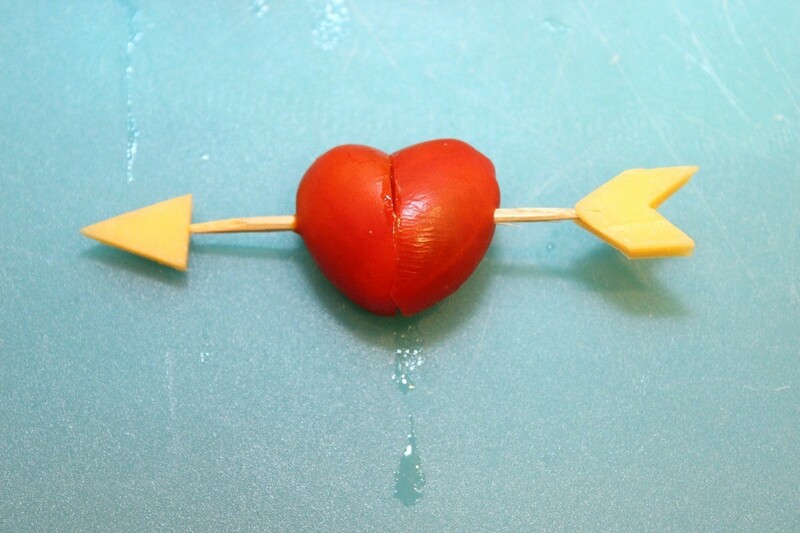 Poke the arrow tip and end onto the toothpick.